The TLH-EV005-48V 20ah battery is a rear carrier type battery. It comes in black or silver color. Its built-in battery management system (BMS) controls the recharging of the battery. Hence, TLH-EV005 model is a smart battery pack. This battery type has a nominal capacity of 20.8Ah and uses an 18650 2600mAh cell type. It has a dimension of 420x90x153mm and weighs 6.5kg. Expect your battery to be fully charged in 4-5 hours under standard charge current of 4A. 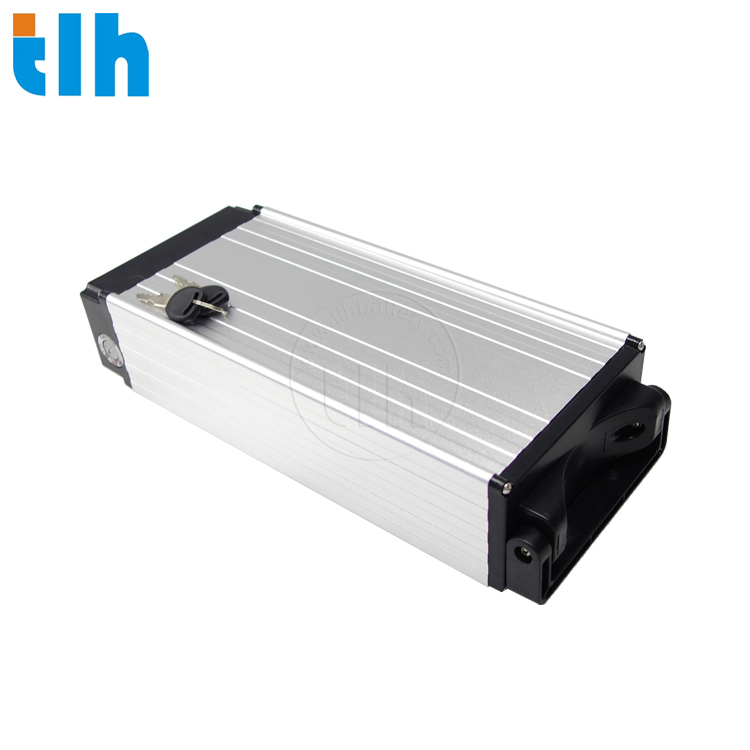 The TLH-EV005 model is most suitable for E-bikes with a 1000W power rating. Like most TLH battery a pack, TLH-EV005 is designed to operate for 600 life cycles before performance drops. Warranty of 1 year is available for this product.